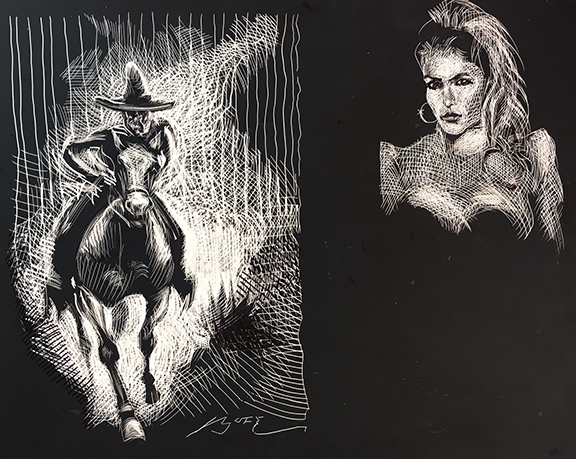 Went home after lunch at Janie's and met the plumber to unplug a sink in the bedroom ($150) and while I waited, I decided to do a scratchboard. "Death Rides A Pale Horse"
And, of course, it was over a woman. "As a superhero I would be 'Typoman' the writer of wrongs." Did An Amazon Warrior Woman Name California? You talkin' to me, Pendejo?